The IRIG 106 standards body the RCC (Range Commanders Council) requested proposals for a mapping between XML language and CH10 files with	their change request CR031. 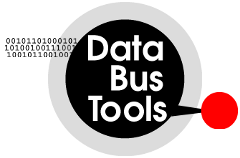 Data Bus Tools made a proposal for a specification and provided an implementation integrated in FLIDAS. The specification is official part of the RCC's "IRIG 106 Chapter 10 Programmers Handbook" (RCC document 123-16) in Appendix P/Q since August 2016. The official RCC site: www.wsmr.army.mil/RCCsite/Pages/Publications.aspx (public access to this server is changing from time to time due to US DoD policy although the standard is approved for public release with unlimited distribution). A document mirror on www.irig106.org/wiki/rcc_mirror. The Data Bus Tools website on www.databustools.de/IRIG106/XMLCH10mapping.html also contains an excerpt of the relevant part for convenience. The intention of this specification is to have a way to define IRIG 106 chapter 10 files for testing purposes in a readable XML format. This would allow tools to convert between XML and CH10 back and forth. The focus of XML is readability and not memory efficiency or processing efficiency. Therefore the area of application for this specification is the generation of smaller test files (although nothing technically prevents to have large files). CH10 files (for example from recorders under development) could be converted to XML for closer inspection and to verify possible corrections (by converting the manually corrected XML file back to CH10). Specific error cases can be created for test cases by converting real files to XML, injecting the error and converting back for replay. There are several downloads of samples, conversion software and documents below. Some of them belong to the official published specification version 0.3.1. However the RCC only updates thes documents about every four years. We as the sole developer of the current official specification and the only available implemetation (as far as known) enhance the specification independent of the current four year release cycles of the RCC's document so we might do changes to the format that are incompatible to the released format. There is no guarantee that these will be included in further official RCC documents. But since this technology is new there should be room to evolve when new use cases appear. If you actively use it for your testing and rely on it you should consider keeping downloads of a proper release of the free FLIDAS version for your XML format version. If you use a commercial version you can still use this functionality with the free version. Please let us know new use cases and requirements for this functionality and we will check if it can be supported. So far (FLIDAS Version 3.13, XML CH10 mapping specification version 0.3.4) all changes are extensions in a way that XML files following the RCC specification can still be processed. However if you convert CH10 files to XML features of the FLIDAS extended format might appear in some cases. The downloads below are marked to be for the official (0.3.1) or extended version (0.3.4.). If you have no XML editor yet and you don't want to use a simple text editor, you can download this manual how to set up a free XML environment for editing CH10 XML files. The downloads below are available as XML file and as resulting converted CH10 file. You can also create the CH10 file yourself using the prototype FLIDAS plug-in below. Be aware that some of the XML files create corrupted CH10 files by intention or have incomplete TMATS setup. The free FLIDAS version includes an implementation for conversion in both directions. You can also use the free software to inspect the results immediately. The basic commercial version can provide more details on the converted data as it offers further low level access to all CH10 properties and also verifies the file format to some extent. Also it offers some options on the generated XML code (improves maintainability for different use scenarios). You will find the downloadable software and the manual for the extended version on the FLIDAS product page. The manual includes a short description of the implementation in the chapter 4.20. This is the old version for official specification! Download the recent, extended FLIDAS version here.